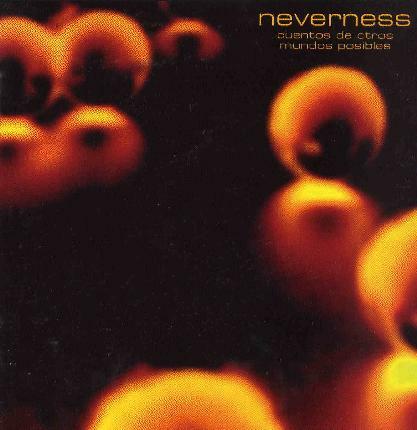 Neverness are a Spanish progressive rock band formed in 1998, and citing the classic 1970’s influences of King Crimson, Pink Floyd and Deep Purple as primary influences. Their debut album “Horizonte De Secousus” (translated as “Event Horizon“) was released in 2002, and “Cuentos De Otros Mundos Posibles” (“Tales Of Another Possible Worlds”) is the follow-up. All song titles, vocals, and printed lyrics are in Spanish, although the sleeve notes direct listeners to the band website for a translation. A lack of fluency in Spanish will not pose a major obstacle for progressive rock fans wanting to explore the Possible Worlds of Neverness, as much of the album is instrumental, with only occasional vocal passages. Opening instrumental track “Pachamama” sets the scene for the album, revealing the band’s ability to create complex progressive music that focus on melody and rhythm, rather than tedious displays of musical virtuosity, which can be features of this genre of music. The fine guitar lines of Javier Nieto (who also doubles as vocalist) bring to mind the sounds of early Porcupine Tree, clean and classy without showing off. Keyboardist Victor Perez employs a range of styles and sounds, including piano, Mellotron and Hammond, those staples of 1970’s hard rock. Many of the tracks show European influences such as Eloy and Grobschnitt, while “Mi Mundo Al Reves’ and the 12-minute album closer “Mundo De Locos” (a song cycle divided into four parts) calls to mind Rush classics “La Ville Strangiato” and “Jacobs Ladder”, with a bit of Steve Howe guitar picking added into the mix. Overall Neverness manage to draw together everything that is great about progressive rock, whilst avoiding the pitfalls of ego-massaging self-gratification. Fans of the kind of bands and music namechecked above will find a lot to like about “Cuentos De Otros Mundos Posibles”.